In order to offer happy Eid Ramadan and Eid al-Adha to the orphans and the children in need living in Istanbul, we organize eid clothing and food packages distribution campaigns. We contribute to thousands of children welcome eid with the new clothes with the help of campaigns made before each eid. 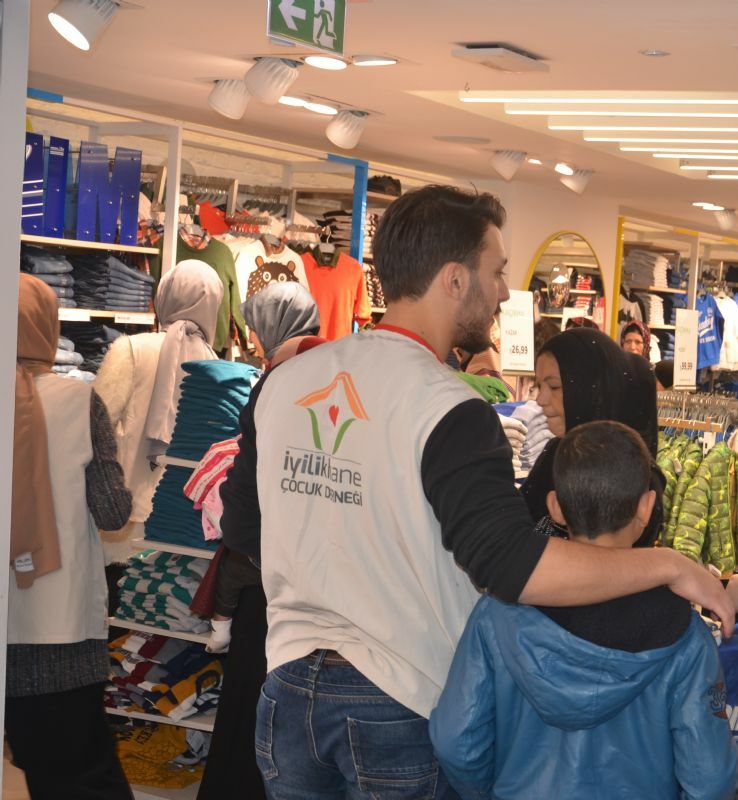 Together with the volunteers, we take our children to the clothing shops in the enrobing eid clothing activities. Our purpose in the eid clothing activities is two-sided: On the one hand we share the joy of the children having the opportunity to choose eid clothings maybe for the first time in their lives and on the other hand we make sure that each volunteer spends time with the children. Thus, we aim that goodness turn into a habit in the lives of the volunteers. Apart from the eid clothing campaigns, we provide food package/food card aid so as to the children in need feel the eid joy on their tables as well. Up until today, 3126 children have obtained eid clothings through your support. Let's contribute to the eid happiness of many more children together.